Every learner is different. That’s an inconvenient fact for a modern educational system which employs a one-size-fits-all approach, standardizing more and more, and testing with multiple-choice exams. Rather than allow this to hinder your child, you can turn it into an advantage. A. Visual. Visual learners are very visual in nature – they love sights, colors and scenes. They learn best by watching a teacher write an example on the board, seeing a demonstration, looking at images and diagrams, watching videos, or reading a book. When studying for a test, they read their notes or review pictures. They can typically study in a noisy place, such as a crowded café, without difficulty. B. Auditory. Auditory learners rely on sounds and explanations. They prefer to listen to an explanation or recording than look at a visual diagram or read a book. When studying for a test, they prefer to read out loud, replay lectures, or have someone ask them questions while they answer out loud. C. Kinesthetic. 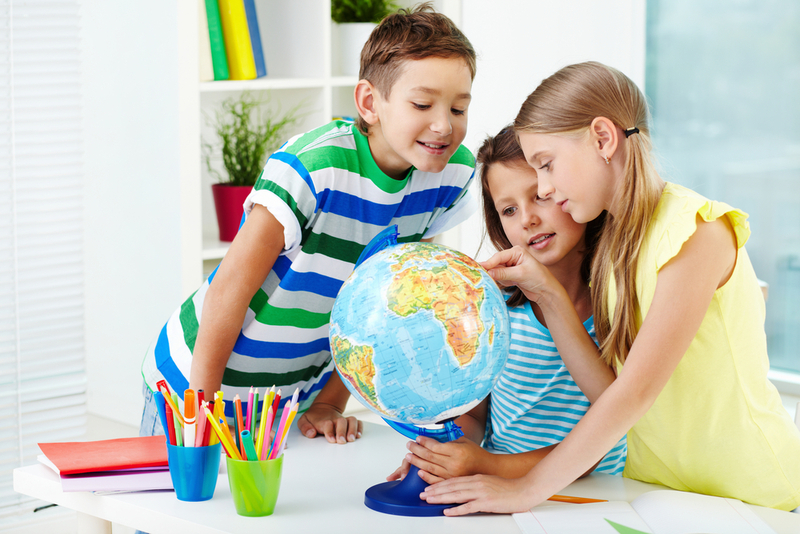 Kinesthetic learners prefer “hands-on” activities, projects and experiences. They like to act things out. A great strategy for them is to make study notes and write down the subject matter when preparing for a presentation or studying for a test. a) Write it down on paper to see what it looks like (visual learner)? b) Spell it out loud to see how it sounds (auditory learner)? c) Trace the letters in the air (kinesthetic learner)? There are many other cues. For example, at the mall, do they prefer observing things, talking to people or running around? When your child was young, did they prefer picture books, books with words or books with exercises, such as crossword puzzles? 2. LEVERAGE. Next, use their dominant style to help them with difficult or conceptual topics, such as negative number computations or algebra. A great example is the use of “Hands-On Equations” to teach algebra to kinesthetic learners. This is a board game approach which uses game pieces to solve equations. The pieces are used on the two sides of equations to combine like terms, create inverses, balance the two sides and solve for unknowns. 3. PERFECT. Then, encourage your child to build healthy study habits that leverage their preferred learning method. For example, auditory learners prefer being asked questions verbally during study time while kinesthetic learners like to make study notes. It’s important to note that you should be flexible and try out different methods here. For example, my daughter is a kinesthetic learner but she enjoys being asked questions and verbally answering them when studying (auditory) and she prefers to write out words when she is checking her spelling (visual). 4. DIVERSIFY. Finally, you need to remember that public schools are moving towards more standardization so you shouldn’t be fixated on your child’s dominant learning method. They need to flexible and comfortable with all the methods. For example, once your kinesthetic learner has mastered algebra through Hands-On Equations, it’s time to learn and reinforce conventional algebra problem solving skills. Teach them to be ambidextrous, just as great right-handed basketball players practice their left hand dribbling. In summary, recognize your child’s dominant learning method and use it as an advantage when needed, but stay flexible. Visual type is perfect for children for my opinion.